By working with the industry’s top manufacturers, DaBella is able to offer you a wide selection of windows that will match your taste and fits your budget. Our replacement windows deliver energy efficiency helping the cool air to stay in your house during Phoenix’s hot summer days. It’s no secret that Phoenix ranks as one of the hottest cities in the country, putting more importance on having energy efficient windows to keep the cool air inside. According to Energy Star, replacing your windows can save you up to $450 per year on your energy bill. 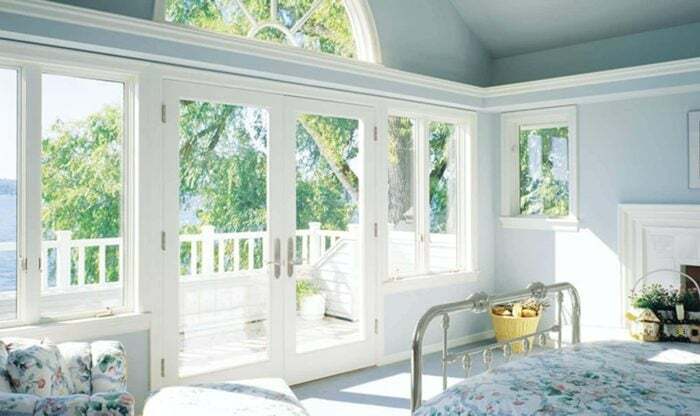 In addition to beauty and style, your new windows can provide a real financial return on your investment.At DaBella, we only partner with the industry’s top manufacturers such as Alside® , who has been in the home improvement industry since 1947. By having your windows replaced by DaBella, you can have a peace of mind knowing that you’ll have high quality windows that are affordable, elegant and energy efficient. For a limited time, upgrade to energy efficient replacement windows with free window installation. Purchase two or more windows through DaBella and receive free window replacement installation. Offer only valid within DaBella service areas. Discount or credit applied at the time of signing full contract and must be executed prior to the expiration of offer on 4/30/2019. Promotion has no cash value. Not valid on prior sales or in combination with any other offer. DaBella has the right to end or modify any promotion at any time. Your home is your most significant investment and DaBella wants to help you protect it by providing you with options that are held to the highest standards. Matt has been with DaBella since 2017 and in the home improvement industry for over 2 years. As the General Manager of the Phoenix, Arizona branch, he loves seeing homeowners smile after they see the transformation to their house. When Matt isn’t in the office, you’ll find him either fishing or golfing. Something that not many know about Matt is he is from Montana and really likes to travel. Or call us. We're standing by. DaBella Exteriors LLC (DBA “DaBella”) is neither a broker nor a lender. Financing is provided by third-party lenders unaffiliated with DaBella, under terms and conditions arranged directly between the customer and such lender, all subject to credit requirements and satisfactory completion of finance documents. Any finance terms advertised are estimates only. DaBella does not assist with, counsel or negotiate financing, other than providing customers an introduction to lenders interested in financing DaBella’s customers. “DABELLA” and the DaBella Butterfly are registered trademarks of DaBella Exteriors LLC. © 2019. All rights reserved. DaBella Exteriors, LLC (“Company, we, or us”) is committed to protecting your right to privacy. In keeping with that commitment, we are providing you with details about the information we collect while doing business. By submitting a form on this website, I understand that DaBella (1) will call me to confirm your appointment and (2) may call me to discuss its products and services. I further agree that DaBella may contact me at the telephone number(s) listed above in the future to tell me about its new products, promotions, sales events and services. I understand that DaBella may use automatic dialing or text messages to reach me. I understand my approval to receive these calls is not required for me to make a purchase and that I may contact DaBella to withdraw my consent at any time. DaBella LLC is neither a broker nor a lender. Financing is provided by third-party lenders unaffiliated with DaBella LLC, under terms and conditions arranged directly between the customer and such lender, all subject to credit requirements and satisfactory completion of finance documents. Any finance terms advertised are estimates only. DaBella LLC does not assist with, counsel or negotiate financing, other than providing customers an introduction to lenders interested in financing DaBella’s customers. When you visit our web site (“Site”), you will be assigned a permanent “cookie” (a small text file) to be stored on your computer’s hard drive. The purpose of the cookie is to identify you when you visit the Site, so we can enhance and customize your online experience. You can choose to browse the Site without cookies, but without this identifying file, you may not be able to take advantage of certain features of the Site. Each web browser is different, so generally, check the “Help” menu of your web browser to learn how to change your cookie preferences. We also collect certain technical information from your computer each time you request a page during a visit to the Site. This information may include your Internet Protocol (IP) address, your computer’s operating system, web browser type, and the address of a referring web site, if any. We collect this information to enhance the quality of your experience during your visit to the Site and will not sell or rent this information to any third parties. From time to time, you may receive emailed information about our products, promotions, and services. In addition to receiving email from us, you may occasionally receive special mailings from us and/or from reputable companies whose products may be of interest to you. To remove your name from our email list, please click the “unsubscribe” link at the bottom of any promotional e-mail or send a blank email to unsubscribe@dabellaexteriorsllc.com. Contests and surveys provide us with an opportunity to improve our product offerings and enhance the Site. While we do not release specific information about contest and survey participants, we may provide interested third parties with aggregate data (such as user demographics) and may occasionally email our contest and survey participants about special offers and Site updates. If you prefer not to receive email from us, please click the “unsubscribe” link at the bottom of any promotional email or send a blank email to unsubscribe@dabellaexteriorsllc.com. In order to create a better electronic community, we may collect specific user profile information, such as the referring URL. This information is used to identify broad demographic trends that may allow us to provide you with information tailored to your interests. You will not be personally identified from this information. © DaBella Exteriors LLC. 2018. All rights reserved. “DaBella” and the DaBella butterfly symbol are registered trademarks of DaBella Exteriors LLC.